NIP’s Diagnostic and Assessment Framework encapsulates and automates the stages common to most diagnostic processes, minimising workshop waste, and maximising any (internal or external) consultant contribution. What is being measured? : fixed/benchmarking, variable/situation-specific or both? Who measures whom? : self, other or mutual? Direction of the measurements? : one-way or two-way? How to introduce? : start small and then spread and scale, overview first and then detail, etc? At the heart are Value Codes or “VCs” – assessment parameters with progressive scoring statements that capture, manage and drive the meeting of agreed expectations for both tangible and intangible aspects of value creation and waste reduction. Fully configurable to reflect purpose, context and any domain-specific detail, these can be written with NIP’s guidance on content and format, or selected and adapted from NIP’s extensive libraries. Capability and/or capacity assessments are typically used to establish the current state for a particular relationship, organisation or domain, and to surface related issues. As such, they are commonly used as diagnostic tools in support of award, certification and general audit programmes. Performance Measurement diagnostics may naturally follow on and use the same/similar VCs, but the perception-based data captured from periodic and/or regular measurements identifies performance gaps, trends and patterns over time – surfacing specific issues and ‘weak signals’..
Upfront reluctance to deploy diagnostics, for fear of being overwhelmed by the amount of resulting activity. Enthusiastic deployment, but the resulting actions are unmanageable, or get forgotten or lost. This is where NIP’s ARC Actions Manager comes in. Flexible sets of Value Codes (VCs) that draw on decades of know-how. Scalable to hundreds of users and beyond. Automated invitation, management and tracking of diagnostic participants. Run ‘in house, by an external consultant or managed by NIP. Existing tools encapsulated and cross-referenced to support best practice and compliance. Suite of powerful analytical tools – graphs, downloads, comment processing, heat-maps, etc. 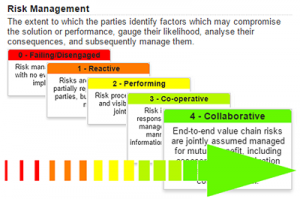 Management reporting at multiple levels – individual diagnostics, portfolios, etc. Adaptability to different “modes” from performance evaluation to portfolio analysis; from self-assessment to audit, etc.